A few months ago we presented to you some of the best US wine festivals that are held between January and June. Hopefully you’ve had a chance to take a pick from our list and do some fantastic wine tasting while traveling across the country. Today we’re following up with a list of increasingly popular beverage and food festivals that are held in the second part of the year. If you missed out on the unique kind of fun that can only be found at wine, beer and specialty food tasting events, here’s another chance to pick a place to go. If you’ve never been in Columbus, Ohio, this is a great opportunity to get to know the place. 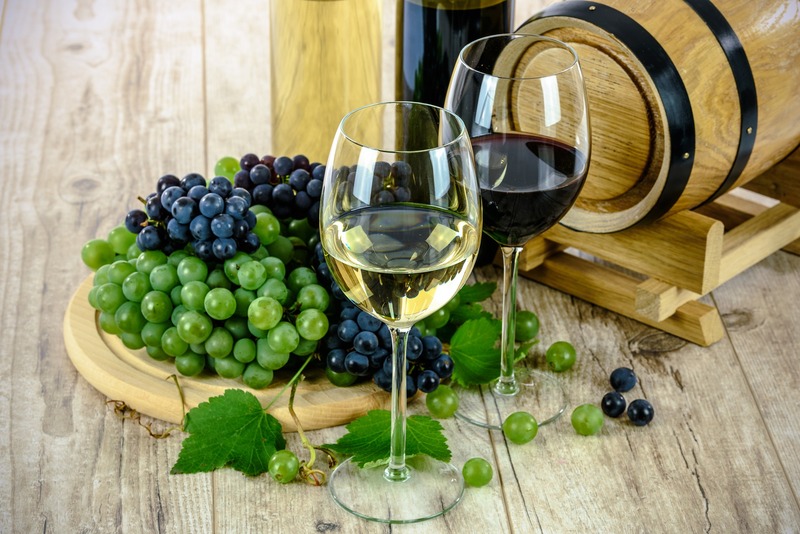 North Market is organizing a fun wine tasting weekend in July where visitors will get a chance to pair Ohio’s finest foods and wines from wineries across the state. You get to keep all the wine you buy, plus a souvenir glass. This is a pretty big festival where over 80 wineries from the New York State showcase their best wines. The three-day event also has lots in store for visitors in terms of fun and education, including live music, culinary classes, cooking demonstrations, regional artisans presenting their crafts, etc. Note that the festival is not open to minors, nor are visitors allowed to bring pets. If you’re interested in adding a humanitarian dimension to your wine tasting adventure, you might be interested in checking out this year’s L’Eté du Vin, an annual charity wine auction organized by Nashville Wine Auction organization. Their main goal is to raise money to support the fight against cancer, which they’ve been successfully doing through their exciting wine tasting events. The Third Annual Oakland Wine Festival will take place at the Fairmont Hotel in Oakland, California. This festival has a more luxurious note to it, so visitors who purchase tickets will be able to enjoy a fancy dinner at an intimate table where a well-known winemaker or sommelier will also be seated to demonstrate how to pair spectacular wines with a fabulous four-course summer-themed meal. Ticket prices range from $25 to $145, so there’s a package for everyone’s pocket. Niagara Falls are famous for the three powerful waterfalls that millions of people go to see each year, but this region is also special for growing grapes! So, if you’ve been planning to see this tourist destination, perhaps July 29-30 would be the perfect time for that. The two-day wine festival that’s organized that weekend will be packed with fun wine-related events, from wine tasting seminars to wine expert panel discussions, trivia contests, live music and more. Here’s a beautiful city of Steamboat Springs (Colorado) you may never would have visited if it weren’t for the amazing four-day Steamboat Wine Festival. It’s a place where master winemakers, cooks, artisans, winery and brewery owners/representatives and curious visitors meet to indulge in tasting and talking about wine. Of course, food tasting events and cooking demonstrations are included as well. If you’re into hot air balloons, this is the wine festival for you. On August 11 & 12 you’ll be able to enjoy the hot air balloon launches and glows while drinking Nebraska’s best wine, eating the Midwest’s most delicious barbeque and listening to this state’s popular musicians. Good news for parents: it’s a family-friendly event! The organizers are preparing fun arts & crafts displays and pony rides for the kids, so no need to look for babysitters. Deemed the premier wine event of the year, the Vintage Ohio Wine Festival really is the place to try out some of the world-class wines, including fruit wines made from strawberries, blackberries, peaches and raspberries. Aside from the main product – wine – visitors will also be able to enjoy delicious food, cooking demonstrations, live music, artisan shows, fireworks, and the cosy “colorful tents and picnic tables” atmosphere. This is a wine fest with a long (15-year) tradition, so if you’re thinking of paying Rhinebeck, NY a visit on September 9 & 10 for a taste of specialty wines, you can’t go wrong. Since this is a registred farm market, you’ll get a chance to meet New York winemakers and purchase the wines directly from the producers. Founded six years ago, the Greenwich Wine and Food Festival gathers 5,000 food and wine connoisseurs from across the country, offering visitors a chance to savor amazing wines, see (and participate in) excellent cooking demonstrations, as well as meet celebrity chefs and local culinary talent. Renowned musical bands are a great addition to the festive atmosphere. If you don’t know where to spend this year’s Labor Day, look no further. The Sonoma Wine Country Weekend will be held on September 2 and 3 and it will be packed with breath-taking events such as: elegant dinner and wine tasting at the Francis Ford Coppola Winery in Geyserville, winemaker lunches and dinners at vineyards, an auction to benefit charity, and more. The combination of a lush island such as Hawaii and wine-tasting events during the course of three weekends is probably how many people imagine paradise. If you have the opportunity, mark your calendar and pay this wonderful destination in the Pacific a visit at the end of October/beginning of November. You’ll get a chance to meet internationally acclaimed chefs, dedicated wine producers and other wine connoisseurs, as well as enjoy fun excursions, cooking demonstrations and local food. This wine festival is organized by wine journalists, so if you’re only interested in wine, and not so much in culinary events, music and other attractions that usually accompany such festivals, this is the place to check out. Every year there’s an exciting Food and Wine Pairing Competition where Colorado chefs compete to cook a perfect meal that goes with the festival’s best wines. If you’re in the audience, you’ll get a chance to taste these delicacies and vote for the winner. Here’s another interesting festival that doesn’t only focus on wine, but puts another interesting phenomenon in the spotlight: movies. Napa Valley Film Festival visitors will get a chance to taste 100 different wines and view 100 movies in 12 different locations in Napa Valley. Film lovers will meet directors, actors, producers, celebrities and attend an ultra fun festival kick-off party (all the while tasting local wines and food). If you’re more of a one-day event person, check out Virginia’s Moonshine Fest. It’s famous for being the first of its kind festival in the state. Visitors will meet with master distillers, talk about their products, eat and drink as much as they can, and enjoy the local music. Pets are not allowed, but children are (though the organizers warn parents the event doesn’t have much to offer in terms of kids entertainment). If wine is not enough to bring you to Colorado on December 9, how about the combination of wine, chocolate and cheese? This festival is all about these three delicious things and their producers who will team up to give the best tasting experience to visitors. The organizers have also expanded their program last year, so now visitors will also be able to try distilled liquors, see and purchase local arts and crafts, and have fun listening to live music. What better time to enjoy the beach than in December, when the winter has set in and we’re already craving sun? If that sounds inviting, check out Clearwater Beach Uncorked. Word of mouth has it that it’s the hippest beachfront gastronomic event in Florida. For a decent price you’ll be able to “wiggle your toes in the sugar white sand while enjoying the finest fare and wines this side of fabulous”, as the organizers promise. 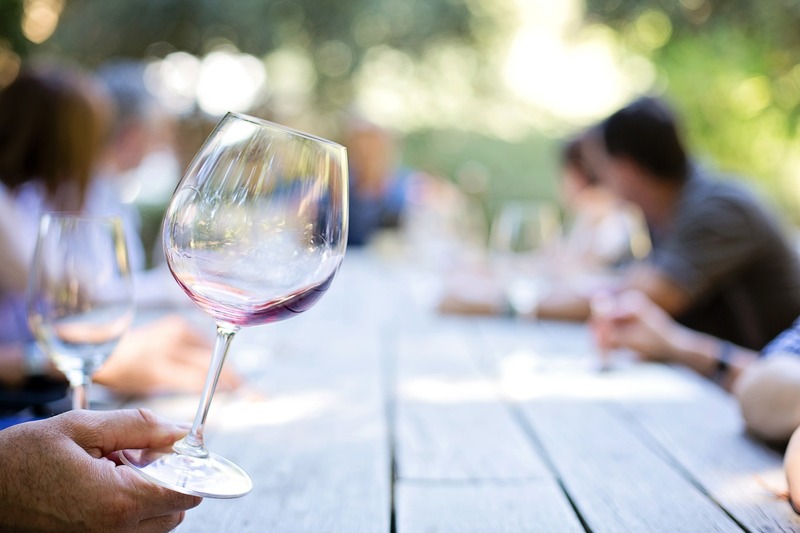 This list of wine festivals in the US will help you pick the right place (and time) for exploring different wine brands in the upcoming months. If you happen to fall in love with some new brand that you’d gladly purchase, don’t forget to check out their wine labels and make sure everything is according to standards. People have been cultivating wine since as early as 4,000-5,000 years B.C. The first wine festivals were probably held in Greece in honor of Dionysus, Greek god of wine and fruitfulness. Wine was also drank at other types of social gatherings, so it seems that our love for the wine & talk combination spans the millenniums.